Tell us a little about yourself and how you use HPLIP. Please note that this survey does not collect any personally identifiable information. Results of the survey are collected and analyzed en masse to help build a better site... one that better meets the needs of a majority of our users. What are your reasons for coming to the HP Linux Imaging & Printing site? How do you use or intend to use HPLIP software? Are you currently using the default HPLIP software that comes with your Linux distribution? How are your HP Devices connected to your Linux system? 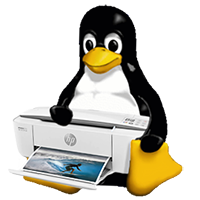 Click Submit Survey to send your survey answers and return to the HP Linux Imaging and Printing site. As a software developer, we invite you to Register for a free account the HP Developers Portal. The HP Developers Portal offers software developers access to many HP technologies including access to APIs and SDKs.